Human brain cells, or neurons, are a lot like people. The more active and connected they are, the healthier they are. According to the Fisher Center for Alzheimer’s, older people who feel lonely have an increased risk of developing Alzheimer’s disease and other forms of dementia. Not surprisingly, the brain cells of people who suffer from dementia have fewer connections with other brain cells. Older adults living alone are at high risk for social isolation and may be at a higher risk for developing a host of health concerns, among them cognitive problems. Assisted living communities provide an engaged, social lifestyle which may help prevent, or delay, the development of mental health problems. 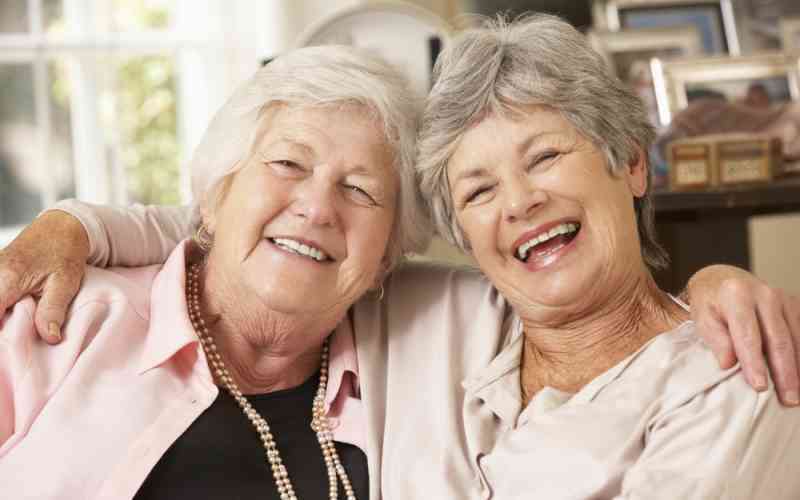 Recent studies from the Mayo Clinic indicate that social connections may help prevent or delay the onset of Alzheimer’s disease. One theory behind these findings is that friendships involve mental stimulation and that keeps the neurons in the brain busy. For example, friends meet-up to chat about common interests and life events, they keep up on what’s going on in each other’s lives, and sometimes attend events or activities together. People who have friends tend to be happier, and also are apt to be more active. Conversely, people who are socially isolated may be at higher risk for cognitive problems. Depression and anxiety can be common mental health issues for seniors. Although it’s not yet recognized as a major risk factor, a study from the journal Psychology and Aging implies that loneliness increases the risk of depression. Sometimes, people who begin to feel depressed draw back from social contacts. This increased isolation can lead to additional feelings of loneliness, which in turn can worsen depression, creating a vicious circle. Finding ways to reach out to these folks and help them connect with others can help break this cycle. One of the first signs of dementia is cognitive decline. As people age, they may lose higher brain functions such as memory and problem-solving skills. A study by Brigham and Women’s Hospital indicates that people who feel lonely experience cognitive decline at a 20 percent faster rate than those who do not feel lonely. Regular exercise and healthy eating habits contribute to good overall physical and mental health. Although there is no proven way to prevent Alzheimer’s disease or other forms of dementia, staying connected socially may be part of the solution. Simply sharing a meal with others is a great way to maintain or build connections. Mealtime is the most common way that people share social bonds. Joining a book club, or a group that meets to play cards or board games are great options too. Group exercise can help cultivate physical and mental health. Attending lectures or seminars on a topic of interest can help seniors remain mentally stimulated. If you’re considering assisted living for yourself or a loved one, look for a community that promotes social interaction. Options such as exercise programs, group dining areas, and a variety of daily social activities can go a long way to maintaining health. Learn more about an engaged and vibrant lifestyle at Kyffin Grove. Schedule a tour to see for yourself how friendships flourish at Kyffin Grove.